The Red Bull KTM motocross team — Ryan Dungey, Ken Roczen and Marvin Musquin — leaves the dirt behind to face off with four of Southern California’s fastest karters on an asphalt track. The four karters won qualifiers at four local K1 Speed locations in the weeks leading up to the Anaheim 3 AMA Supercross race and earned the right to race the three two-wheeled pros. 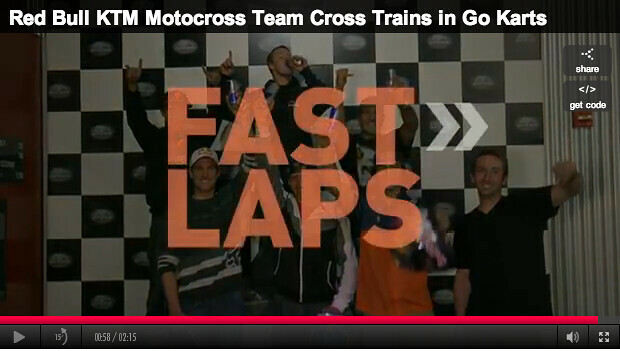 Check out the action as they go head to head to see who becomes the Red Bull Fast Laps champion.